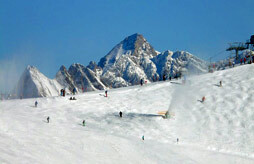 Ski all inclusive in Alpe d'huez : compare ! Located at the foot of the Grandes Rousses mountain, the resort of Alpe d'Huez brings you the sensations of winter sports and the emotion of mountain landscapes. Enjoy the resort's activities for your holidays and enjoy the large domain of L'Alpe d'Huez with its 250 km of ski slopes, its 133 slopes and the five ski resorts: Auris, Oz, Vaujany , Villard-Reculas and L'Alpe d'Huez. Modern resort, the Alpe d'Huez makes you benefit from 84 lifts and 24 chairlifts to access the slopes! Enjoy 100% of your ski holiday by making the choice of skiing all inclusive in Alpe d'Huez. Choose the packaged offer, you can control your budget and leave your mind at ease. To find your all inclusive ski hire in the Alpes d'Huez, Ski Express offers many offers at the Alpe d'Huez to pool services and save for the next snow holiday. Availability is checked daily and offerings per person per week include administrative fees for an ever more transparent comparison. 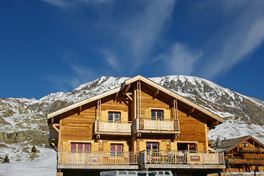 In advance or at the last minute, you will be spoiled for choice with Ski Express to spend a holiday in the Alpe d'Huez snow under the best hospices taking advantage of the best prices.